Enjoy over a £300 per person saving at the Colorado Cattle Company located in Northwest Colorado and only 2 hours from Denver. This is a great adult only working ranch and offers an all-around western riding experience with cattle work happening most days as well as roping, barrel racing, shooting etc. Learn how to read cattle, work cattle and improve your riding and horsemanship, maybe even learn to rope off a horse. The ranch also has a great swimming pool as well as an alcohol licence. Now from only £1490 per person (normally £1795 p.p.) 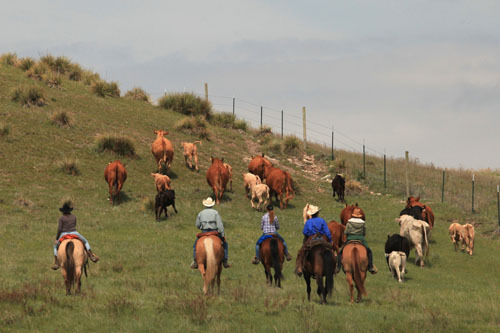 and includes; 6 night’s accommodation, meals, ranch activities (including riding), use of ranch facilities and taxes. Transfers available from Denver for only £50 p.p. (based on two people). No single supplement. Longer and shorter stays available. Applicable to all new booking for 2019. Flights available from £895 per person.